Showing 24 articles from May 10, 2016. The Snug Harbor Child Care Center at Harbor High School will soon be celebrating a successful 25 years of their Teen Parent Program on Thursday May 19th between the hours of 4 and 7 p.m. Friends, teachers and members of the community are welcome and encouraged to attend the event. On Monday, May 2 at 12:25am, Hoquiam officers were dispatched to the station lobby to take a stolen vehicle report. PORTER - Motorists traveling along US 12 east of Elma will be pleased to hear that on May 2, Washington State Department of Transportation maintenance crews reopened both lanes of the highway in the Porter area. The highway was reduced to one alternating lane of traffic since late January due to slide activity and subsequent hillside monitoring activities. On May 1 at 6:37 pm the Washington State Patrol responded to a traffic accident a half a mile west of McCleary. Hoquiam Plywood is under new ownership and has hired about 100 people at the mill since it started it's operations at the facility in April. Willis Enterprises purchased the facility along with parcels of land near it on April 8. The mill is located at 1000 Woodlawn Street in Hoquiam and was purchased by Pacific States Industries in 2012. Last December many employees were issued temporary layoffs. In a letter to the employees, Pacific States told them "market conditions" were to blame for the immediate suspension of all operations at the plant until mid January of 2016. Phone scammers in Grays Harbor are posing as the IRS and wants you i-tunes gift cards. Suspects are using software that spoofs the caller ID and appears as if the person is calling from the real phone number for the IRS. On Monday, May 2nd, the Castle Rock city council had a special meeting at the Castle Rock senior center to discuss their one-year moratorium on marijuana and marijuana-infused products. Congresswoman Beutler visits Toledo, Hopes to fix "Obvious Mislabeling"
Local people know the state of the towns in which they live in, and this is no different for the people of Toledo and Vader. These two towns, along with several others, were cut off from federal grant money because they were deemed too wealthy. The census results are flawed and according to Congresswoman Jamie Herrera Butler have as large as a 91% margin of error. This was fought from the moment of declaration by the local governments and the people of the town. 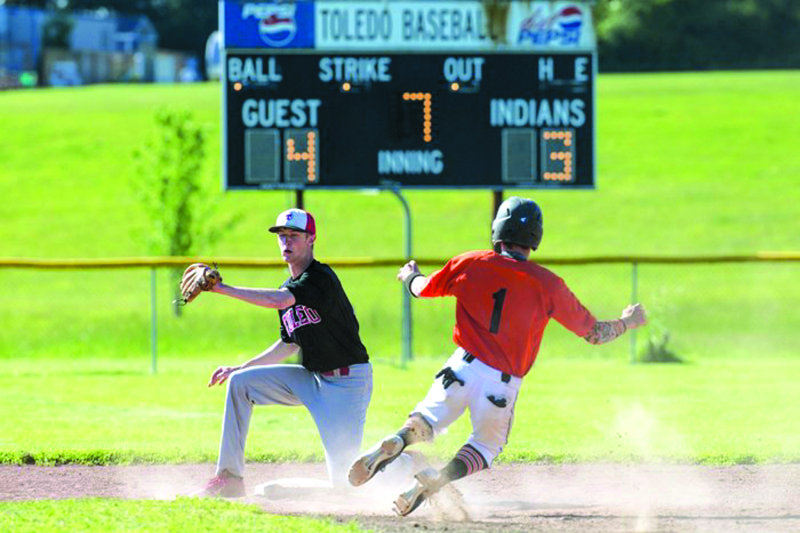 Photo by the Chronicle - Mac Fagerness slides into second, but is called out after being tagged by Wes Kuzminsky. Sam Fagerness' three-run home run in the first inning was most of the offense Napavine needed to defeat the Indians in a 4-3 win in the opening round of the District 4 playoffs on Saturday. Fagerness also got credit for the win on the mound going 41/3 innings and only allowing one hit and one unearned run. Connor Vermilyea had a great outing on the mound, taking over for Wes Kuzminsky after Fagerness' three run homer. He went six innings giving up two hits and one unearned run while also striking out five. A variety of drugs and over $21,000 were seized from a safe belonging to the residence of Ridgley after Larry E. Ridgley was arrested for being in possession of a stolen motorcycle. Monday afternoon, May 2, members of Joint Narcotic Task Force (JNET) were advised by Department of Corrections (DOC) that they had located a large sum of cash and drugs at a residence in the 500 block of Gish Road in Onalaska. DOC probation officers were there to check on Scott E. Ridgley, 55, of Onalaska who was living there and on DOC supervision. Wildfire Arson is the intentional and/or reckless burning of underdeveloped wildland or uncultivated land. It is the cause of many large and damaging wildfires throughout the United States. Although most residents have no intention of starting a wildfire, 75% of all reported wildland fires in Washington State last year were human-caused. United had a long break between games and came into White Salmon refreshed and ready to go. Earlier in the season, United had squandered a 2-0 lead against White Salmon and ended up with a 3-2 loss. White Salmon had not lost a league game all season and United wanted to change this while also spoiling their senior night. The Vader city council voted last week to end prayers before meetings, arguing for more separation between church and state. The city's parks board responded by voting to add prayers before their meetings. The registration deadline for persons not currently registered to vote in Washington is Monday, May 16 to qualify to vote in the Presidential Primary within Lewis County. Photo by Larry Bale - Jenny Crow organized a mock accident at Raymond High School last Thursday for her Senior Project. Every 32 minutes someone dies as a result of a DUI accident in the USA. Jenny Crow of Raymond High School hosted the "Every 32 Minutes" Program at Raymond High school on Thursday, May 5 for her senior project. Students are interviewed and selected to participate in a presentation that is put on by local law enforcement. In this case the Region 2 Task Force which includes law enforcement members of Grays Harbor, Pacific and Mason counties partnered with the Raymond Police Department to host a mock crash outside of Raymond high school. 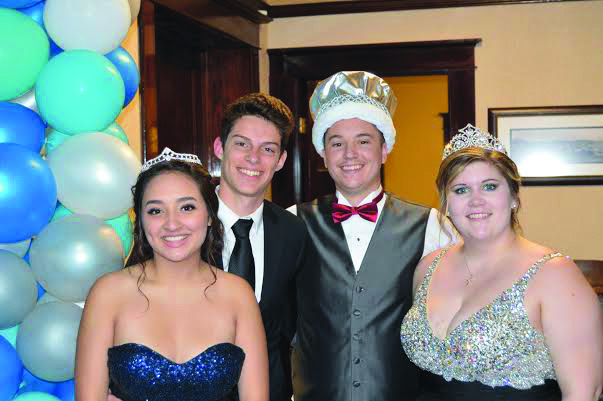 Photo Courtesy WVHS Principal Nancy Morris - From left is the RHS Prom Court, including Queen Maddie Crass, King George Crow, Princess Mikayla Collins and Prince Tysen Stephens. The prom was Saturday. Kevin J. Reynolds, 35, of Ocean Park entered a guilty plea to unlawful possession of a firearm in the second degree and was sentenced to 1 year and 10 months in prison. 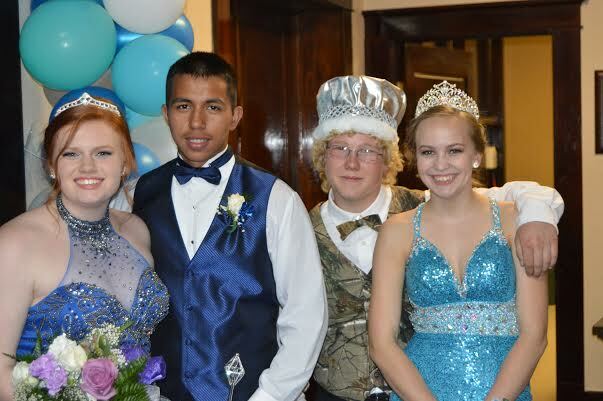 Photo Courtesy WVHS Principal Nancy Morris - From left is the SBHS Prom Court, including Princess Sinda Chann, Prince Renan Campos. King Jayden Madrid and Queen Krystal Johnson. The prom was celebrated Saturday. The South Bend City Council met on Monday, May 9 for their regular bi-monthly council meeting. Mayor Julie Struck started the South Bend City Council meeting by approving the minutes from the previous meeting as well as the agenda for the current meeting. Struck moved the meeting along to the first item on the agenda, which was a resolution pertaining to an alley vacation, Resolution #2016-06. City Supervisor Dennis Houk reported on the vacation: "Somebody is wanting to vacate the alley on First street. So she's just wanting to make that one portion attached to her property," said Houk. 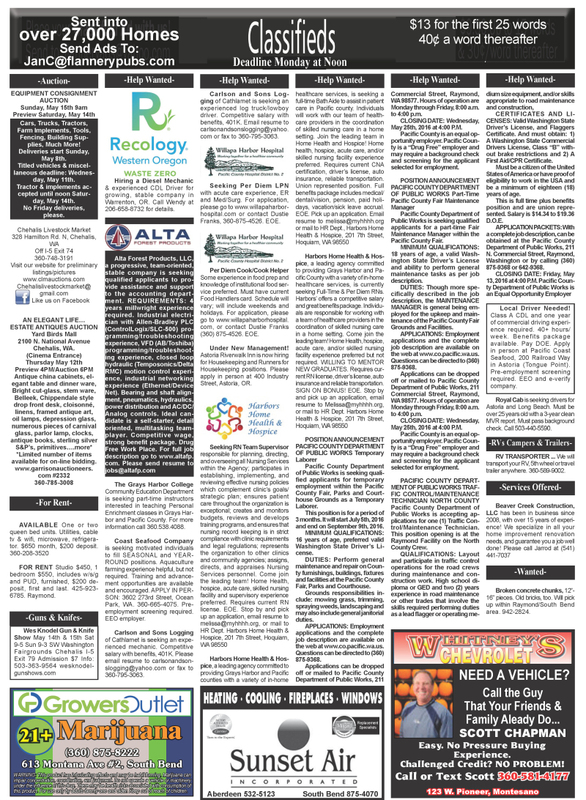 Struck called for a vote on the alley vacation public hearing, and the hearing will be set for the city council meeting of May 23 at 5:35pm, "We can talk more in depth on that date," said Houk. 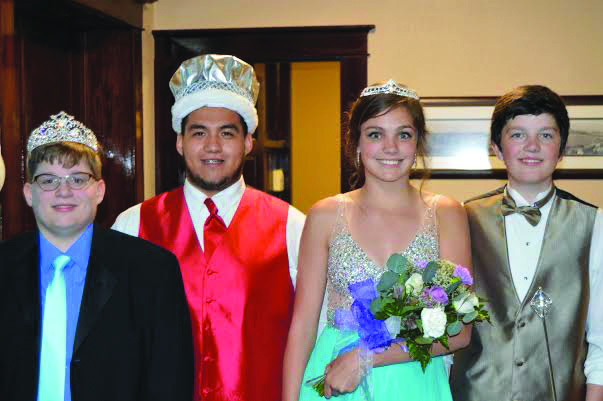 Photo Courtesy WVHS Principal Nancy Morris - From left is the WVHS Prom Court, including Princess Madison Huber, Prince Leonel Ruelas-Alcantar, King Craig Ashley and Queen Alyssa Hodgson. The prom was Saturday.